Samorost 2 Demo game - play now at RustyLake.com! 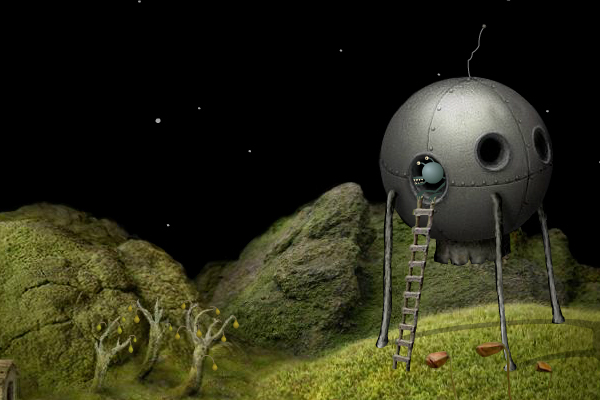 Instead of saving your planet from an incoming meteorite that almost hits you in this sequel to Armanita’s Samorost series your job is to assist the small intergalactic gnome once again in another quest. In this follow up in the series you learn that the pet dog of this gnome has been kidnapped by aliens from the far depths of outer space. It’s up to you to solve all the point and click puzzles and get him back home safely. Enjoy playing the demo of this artistic point and click adventure, if you enjoyed this demo and want to explore this mysterious galaxy further you are able to buy the stand-alone version from Armanita Design’s website for only five dollar.